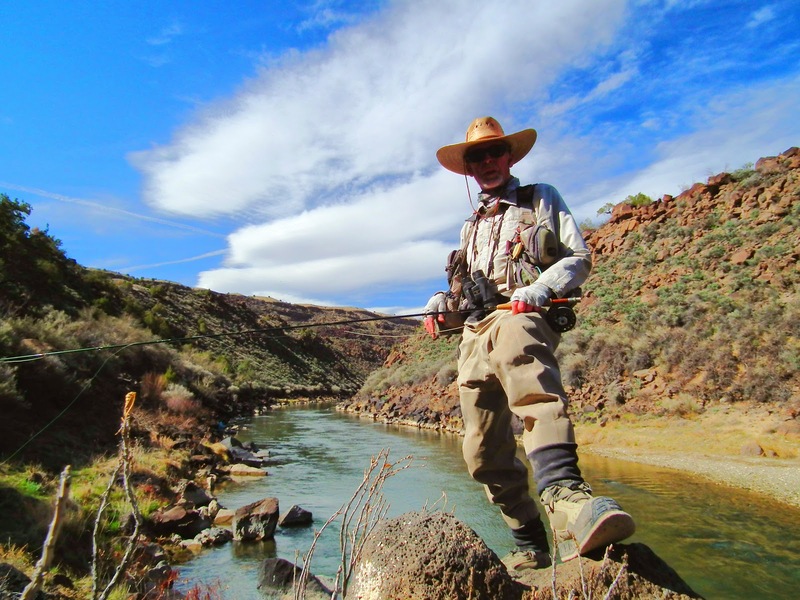 Legendary northern New Mexico Fishing Guide and Angling Author Taylor Streit prepares to fish the Rio Grande in the Gorge above the Taos Junction Bridge where Caddis have been reported hatching this spring. 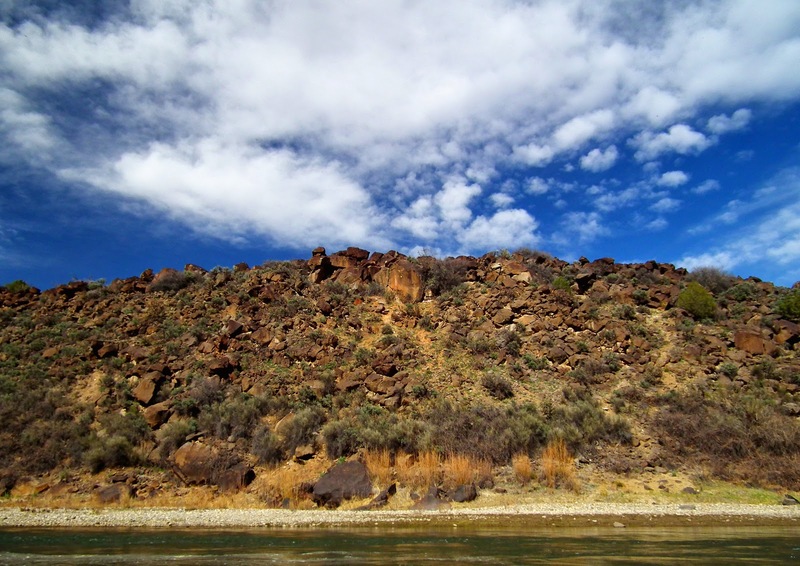 The Rio Grande Gorge is a rugged, remote fishery where one must be nimble and hardy to escape a fishing trip unscathed. Some have taken to fishing here bare foot to prove their prowess and have not been seen since. Streit gets to fishing seemingly unaware of the other guide, lurking in the bushes upstream, who was hired by Steit's family to watch over him. 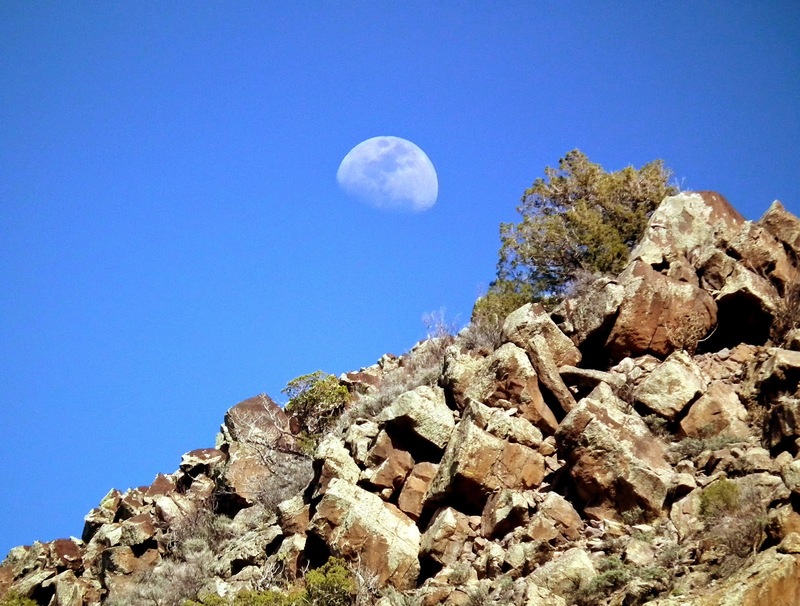 Time passes and even the moon comes out to see how Streit is faring. 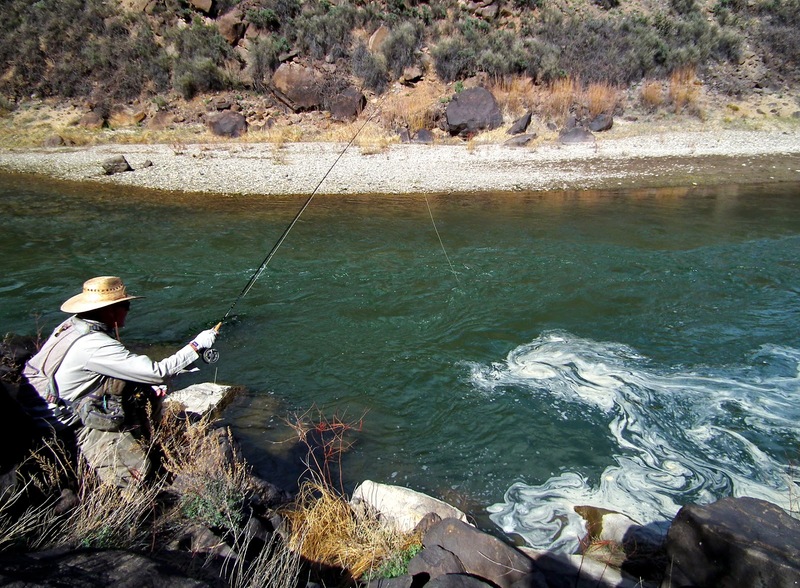 Streit spots trout feeding in an eddy behind a rock and casts his fly repeatedly into the foam with no luck. 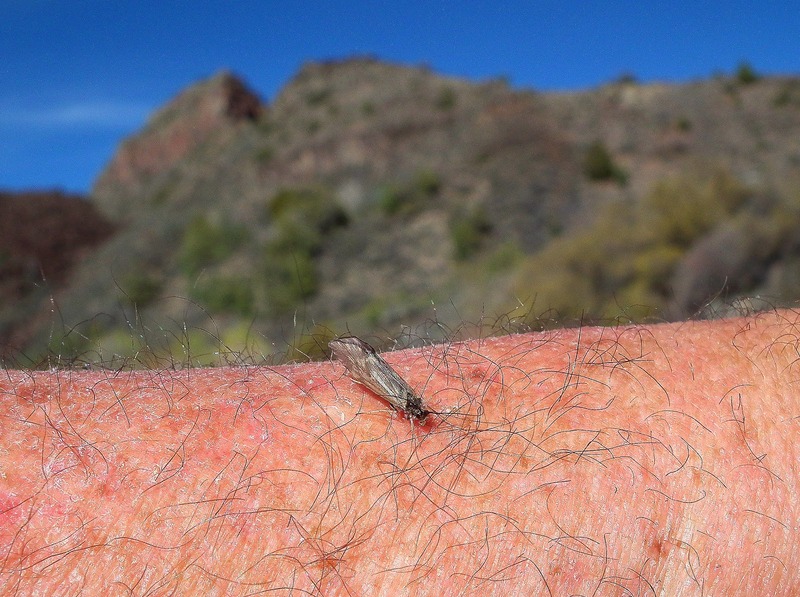 He has apparently failed to apply the proper fly. 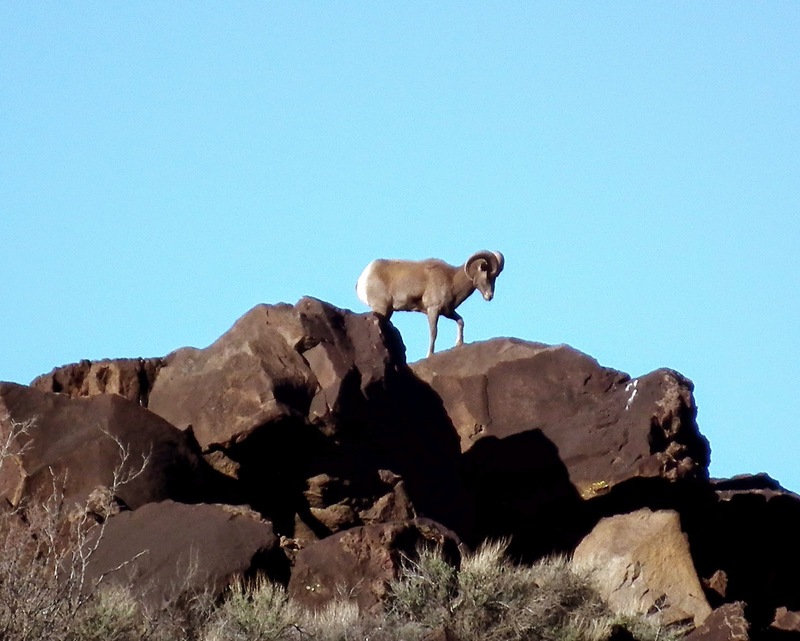 A Rocky Mountain Bighorn Sheep watches the action from high on the cliffs and can be seen shaking its head in apparent amusement. 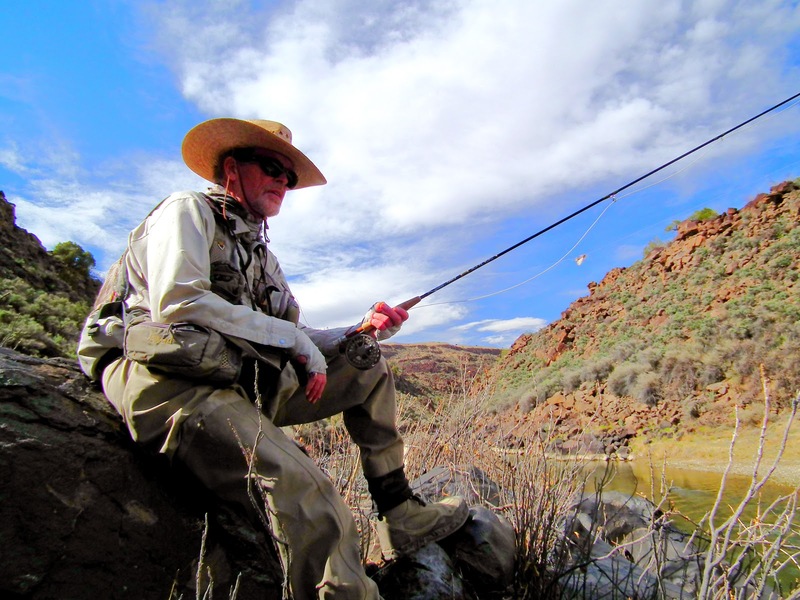 Streit appears dejected after several trout reject his flies and return to feeding on Cheetos tossed into the water by upstream bait fishermen. Streit hears a splash and climbs upon a rock for a look see. Streit casts to the noise and hooks something behind some rocks. 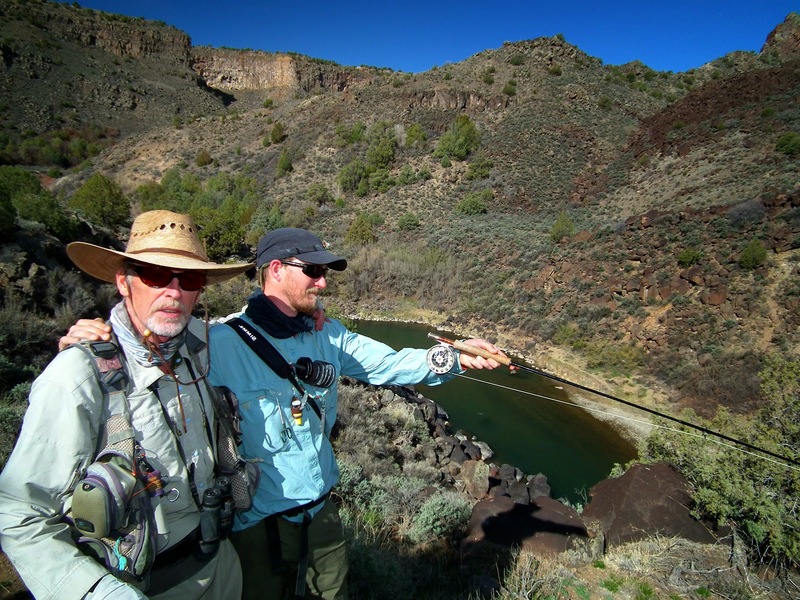 Unbeknownst to him its the hidden guide who puts up a good fight just to give the old man a thrill. Streit breaks him off and never does see the guide slink back into the bushes. For weeks he speaks of the monster that got away. 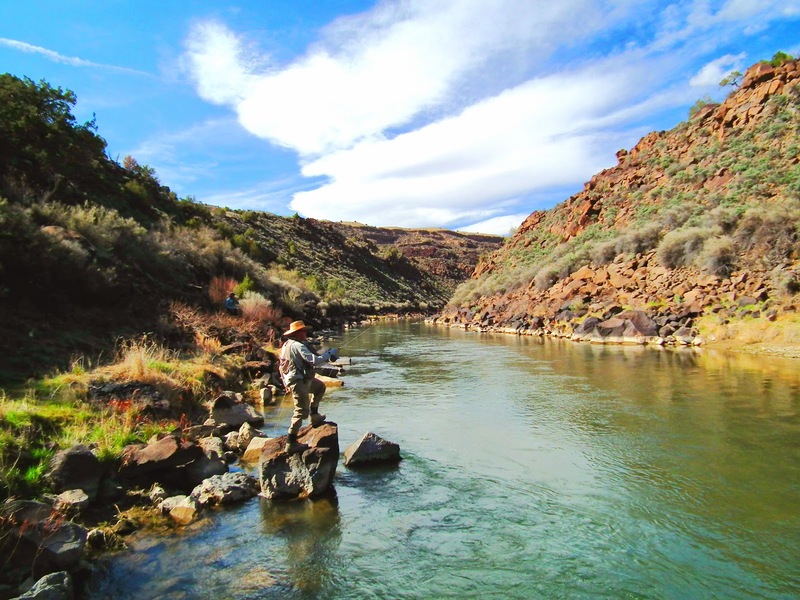 Streit is spared further embarrassment when the hiding guide, Chris Cantrell, re-emerges from the bushes, acts innocent and leads the elderly fly-fisherman back downstream to more promising waters. Streit asks "Where do I know you from?" Guided down to the river's edge Streit manages to hobble out into the water and despite his casting technique is able to put a fly out onto the surface. 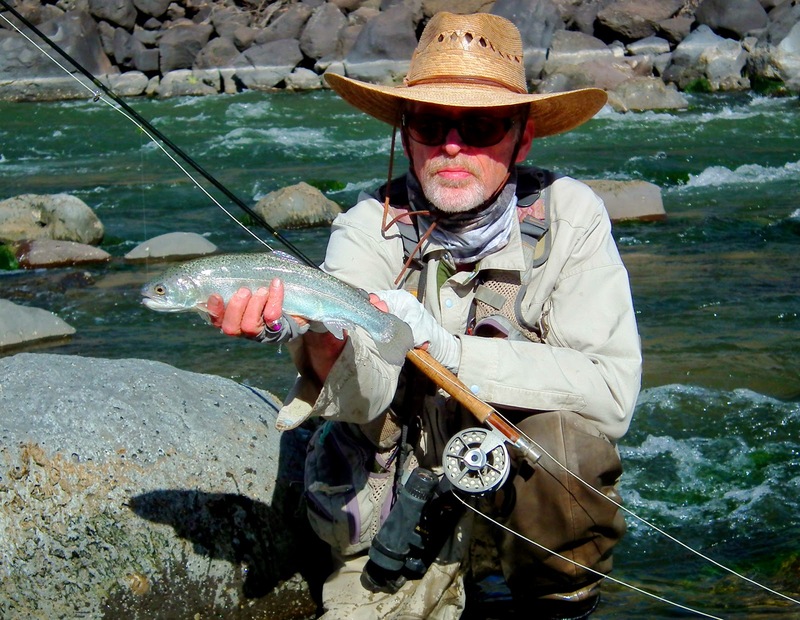 Caddis are everywhere now and there is hope for Streit..
Streit finally catches a stocked rainbow trout on a fake salmon egg dangling from his fly and declares over Twitter that the "Caddis Hatch is On!" 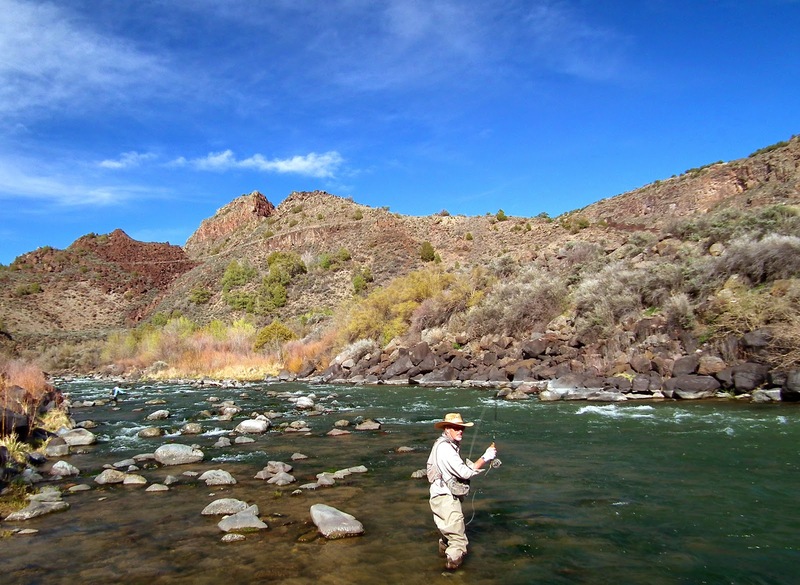 Anglers instantly descend on the river from as far away as Dixon and begin false casting in earnest. 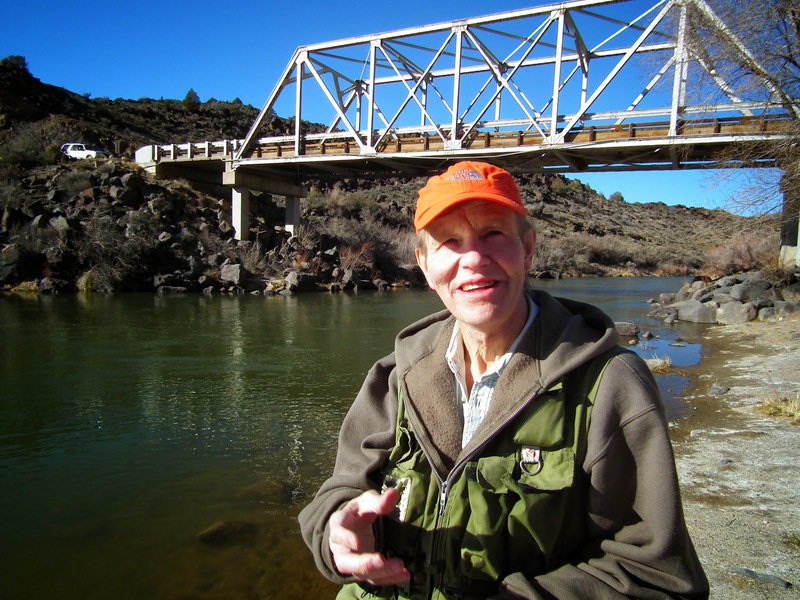 Streit's best buddy and fellow author, John Nichols, is spotted hanging around the Taos Junction Bridge questioning passersby about what everybody's doing. 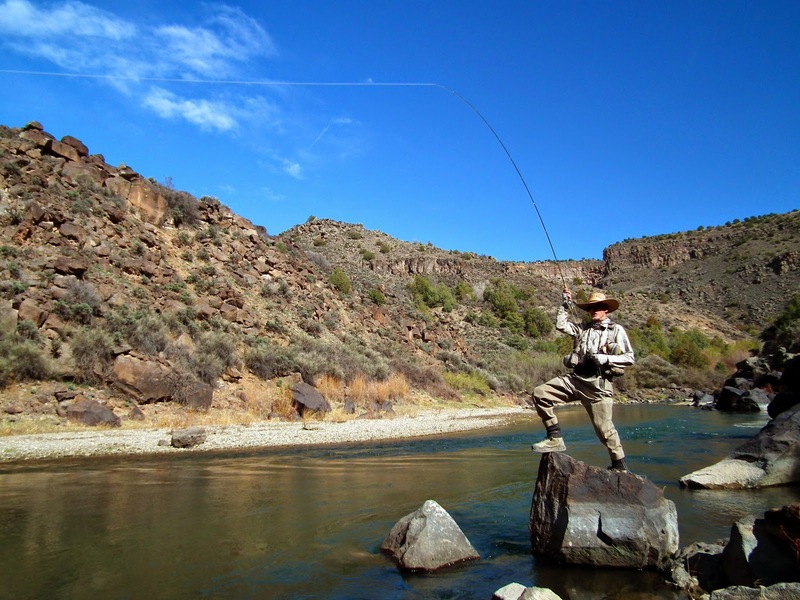 Nichols reportedly bags a 28-inch brown trout on a Velveeta cheese ball soaked in anchovy juice and then catches the RTD back to Taos to resume writing.